The TARDIS Materializes Behind Elizabeth Shaw!. Get to the TARDIS, Liz!. HD Wallpaper and background images in the Doctor Who club tagged: doctor who tardis prometheus blue box. 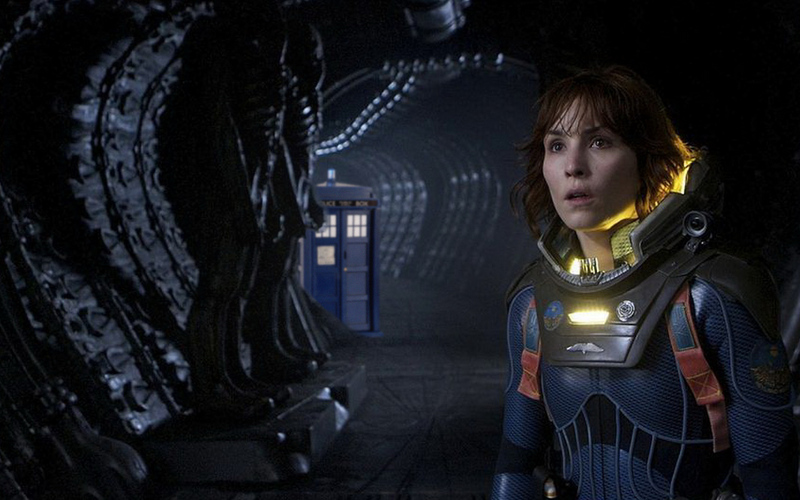 Get to the TARDIS, Liz!